In Ireland, food poverty is an ever increasing issue. Recent findings by the Department of Social Protections disclosed 10% of the populations in Ireland are living in food poverty, and Cork is no different. Feed Cork is partnering with local agencies and businesses to help fight food poverty in Cork. We offer a food box filled with a three day supply of nutritional food for individuals and families in need. Feed Cork helps bridge the gap for individuals and families that struggle between meeting pressing financial needs and providing nutritious food for themselves and their families. Throughout history, God has used women in the most extraordinary ways. Through Rahab, He preserved His people and brought down the walls of Jericho. Through the prophetess Deborah, he delivered the children of Israel from the hand of the Canaanites. Best of all, God presented His own Son as the perfect sacrifice to fallen humanity through a young Jewish girl named Mary. Women have always occupied a special place in the heart of God, and He continues to use women to this day. As a ministry, our desire is to see Christian women find joy and liberty in Christ, and out of that joy, to be a blessing to those around them. The Lord wants to use us as His Body by uplifting each other when we’re down, bearing one another’s burdens when we feel we can not go on, and rejoicing together at all times. Stay tuned on here and on Cork Church's Facebook page for event details! We have a Men's Fellowship Morning the first Saturday of the month at 9am, with a time of worship and prayer. God has entrusted each man in His church with a sobering responsibility: to be a standard bearer of righteousness in a society that is largely unrighteous. Christian men are called to reflect the life of Christ amongst their families, in their workplaces, and in all that they say and do. With such responsibility comes an understanding that if we as men of God are to walk the path God has prescribed for us, we will need two things: the overcoming power of the Holy Spirit, and each other. Proverbs 17:17 says, “A friend loves at all times, and a brother is born for adversity.” As a ministry to men, our focus is to see every man led by the Spirit of God, creating in Him the capacity to be a source of inspiration and encouragement to his brothers in Christ. Our Goal is to mobilize, equip and collaborate with churches for them to fulfill their potential in missions in Ireland and abroad. To expand GMI work into different parts of the world. To serve and reach out to vulnerable people in society who are destitute. To engage local communities and local businesses with the work. Discovery Kids is where kids can discover a deeper understanding of the Bible, book by book. And how it is one big story of what God has done for us. Children ages 5-12 will enjoy a time of learning and a time of fun, growing in the things of God while parents do the same! Takes place during the Midweek services on Wednesdays. 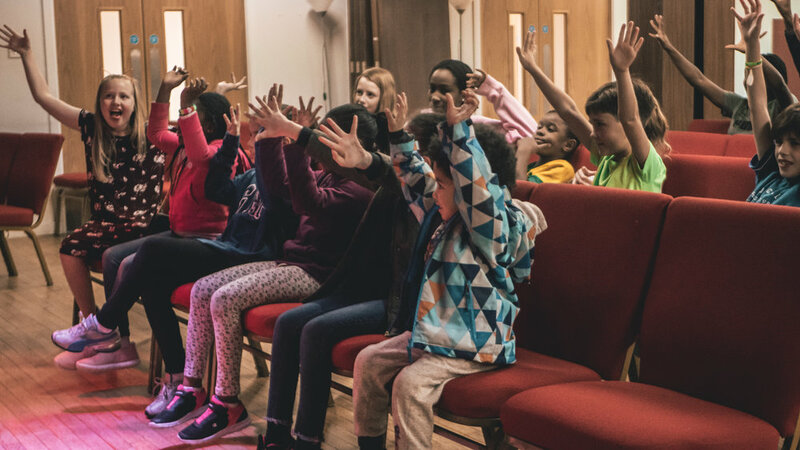 Creating an engaging environment for kids to explore bible stories, develop their relationship with God and apply biblical truths to their everyday lives. Every Friday night at 6:30-8pm! Forming friendships and developing a strong foundation in the Lord as a stepping stone into their teenage years. Every Friday night at 6:30-8pm! Some of the greatest characters of the bible were called from a young age. The prophet Jeremiah was called from a young age, as well as King Josiah, King David, Samson and so many others. God loves you so much and He proved it once and for all on the cross. It is God’s heart that you would know Him intimately. He doesn’t look at age, achievement, or knowledge ~ but He looks at the heart. God is looking for a generation of young people who will heed the call of God and embrace it with all their hearts. It’s the generation that would dare to live set apart from this world, who would dare to believe God’s Word and live accordingly. It is the generation that God can use to change schools, cities and even nations. GOD CAN USE YOU! Youth is a great opportunity to get to know Jesus Christ, His Word, and establish and build relationships with Christian friends. Not only will you get a solid foundation in the Bible, you will also get the chance to put what you’ve learned to practice. You are invited to Young adults @ Cork church. We are a group of 18-30 somethings that meet every Sunday at 7pm in Cork church Connolly Hall. We come in all shapes and sizes (dad bods welcome!) different colours, languages and nationalities, but we all have something in common. Our lives have been changed by the love of God. That just means we have a real relationship with God through Jesus; who He is and what He has done for us. Don't worry, we aren't weird! We are normal people! We love coffee, banter, take away (a bit too much!) music, movies, culture and connecting. But we love and value people most of all, because God does. You should come along, see for yourself. Make a connection. Be a part of it. Esta é a nossa página em português aqui na Igreja de Cork. Nós esperamos que você encontre nesta página as informações necessárias para tornar a sua comunhão aqui conosco a mais agradável possível. Em caso de dúvidas, não deixe de nos procurar. Será um grande prazer poder lhe assistir naquilo que for possível. Estamos aqui para lhe ser útil.